Sachs has expanded it's range of budget scooters with the Bee 125cc automatic, which costs £1299. The firm has tied-up with a Chinese factory to provide German quality and dealer support with Chinese prices. The Bee has a four-stroke 125cc engine, and weighs 96kg, making it lighter than some of its rivals. It featrues a front disk brake and a rear drum brake. Buying a bike? Click here. Read MCN and user bike reviews. Click here. Browse over 1700 products. Click here. 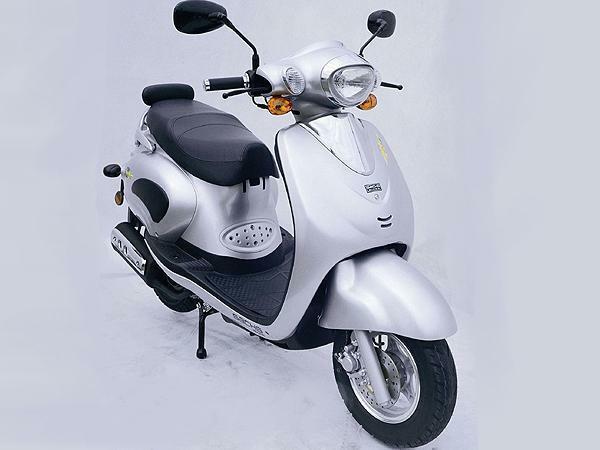 The Sachs Bee is available in silver, and the £1299 price includes a two-year warranty. Contact: 01202-823344.